The GDK Group is an honoured steward recognised globally for excellence in manufacturing and sustainable practices. As a committed member to sustainable practices in Chain-of-Custody operations, all Acoustic, Wall & Ceiling Panels, and Joinery engineered, manufactured and installed by our company ensures the very best in integrity and validity in sustainable practices. GDK is committed to the on-going sustainable practices of all aspects of the timber industry and will continue to uphold the very best practices in its responsibility as custodians for future generations. GDK is committed to the on-going sustainable practices of all aspects of the timber industry. GDK endeavours to use the highest standards of green certified products at all time, and will continue to uphold the very best practices in its reponsibility as custodians for future generations. GDK’s excellent track record is further affirmed via third party certification confirmations. 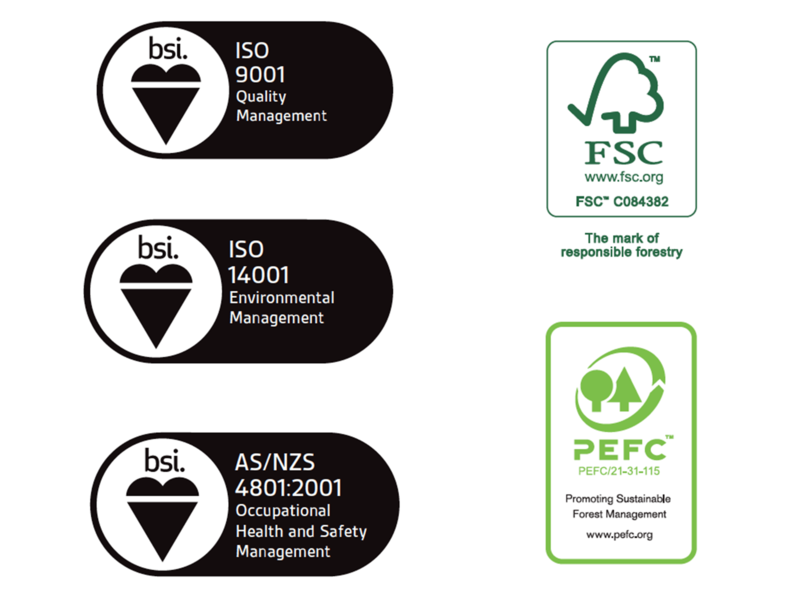 Certified by BSI, the leading ISO certification body globally, and Woodmark, one of the founding certifying bodies of the FSC & PEFC Certification Associations, GDK’s excellence and integrity in production and process is recognised globally. Certified since 2011, GDK has successfully maintained and surpassed all audit and external reviews year after year. GDK’s recognised certifications include: ISO9001: Quality Management ISO14001: Environmental Management AS/NZS4801: OH&S FSC: Forest Stewardship Council PEFC: Programme for the Endorsement of Forestry Certification.